It’s dry January, a month where you go without any alcohol to reduce your overall alcohol consumption. It’s a good idea but while you’re giving up your glass of wine for the month, why not try dry herb January instead? See cannabis doesn’t cause cancer, doesn’t have a lethal dose, it doesn’t harm you really. It can, if you abuse it, that’s true for all things. However used correctly, cannabis can give your body a break from stress, tension and pain. Did you know your body is designed for cannabis? In the 90’s scientists discovered the endocannabinoid system while they were trying to understand how THC worked in the body. They learned that the cannabinoids in cannabis bind to various receptors in the endocannabinoid system, which regulates many things from mood, pain, appetite to reproduction. In fact, did you know there’s natural occurring cannabinoids in breast milk, the same you find in cannabis. Mind blowing right?! Literally, it’s medicine. Many people use it to treat many different health issues such as; migraines, anxiety, depression, inflammation, pain, appetite, insomnia, PTSD, seizures, addiction, nightmares, OCD and so many other things I could go on and on. This isn’t some new thing, cannabis has been use to treat ailments for thousands of years. You can buy strains that have very low, to almost no THC and are high in CBD (non-intoxicating cannabinoid). You can also take CBD in liquid form, put some drops under your tongue in the morning to start your day calm, or in your tea. Vaporizing cannabis allows you to reduce the temperatures to limit how much THC you feel. Dry herb January for the win! So you see, cannabis can be used in many therapeutic ways. Read Weed Mama’s section on cannabis basics> weed 101 to learn how to consume cannabis properly. 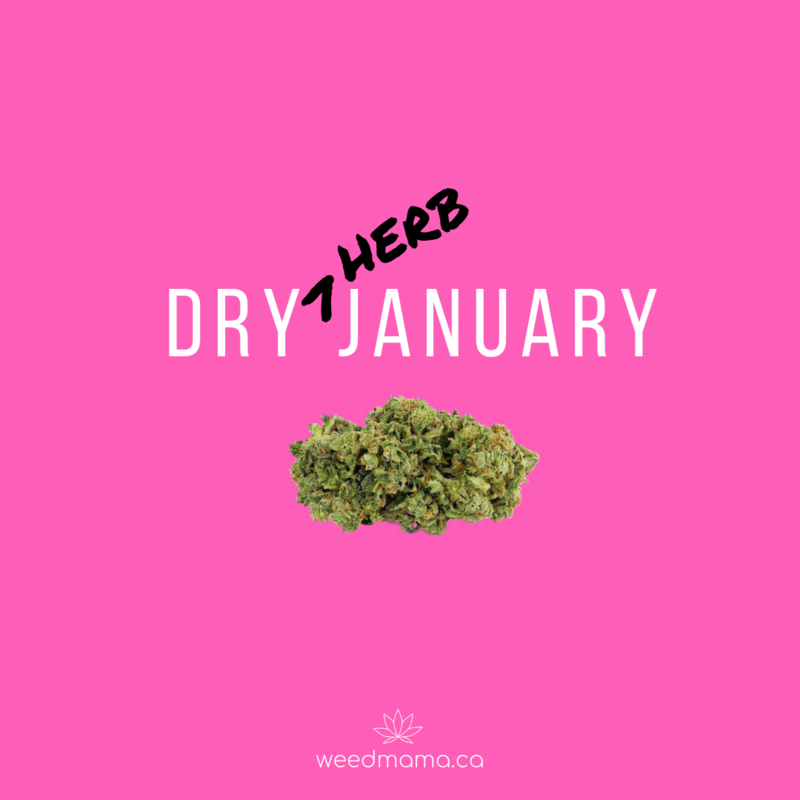 Go ahead, enjoy a little dry herb this January.